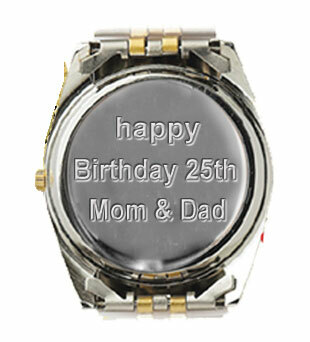 Quality Personalized Watches. 18k Gold Electroplate finish with a stainless steel back. Genuine leather band. Water resistant with a precision quartz movement. Please specify Unisex size (1.25" dia.) or Petite size (1" dia.). 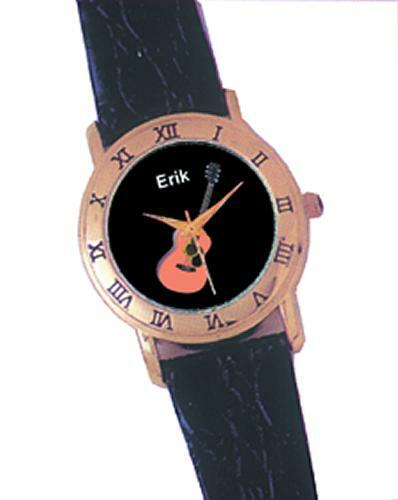 Add name to front of watch if desired, up to 10 letters...FREE! New Offering..Personalize the watch back! Add up to three lines with a 20 character/line entry. Unisex Design Only. Please see side panel to select Size and Personalization before adding the watch to cart.